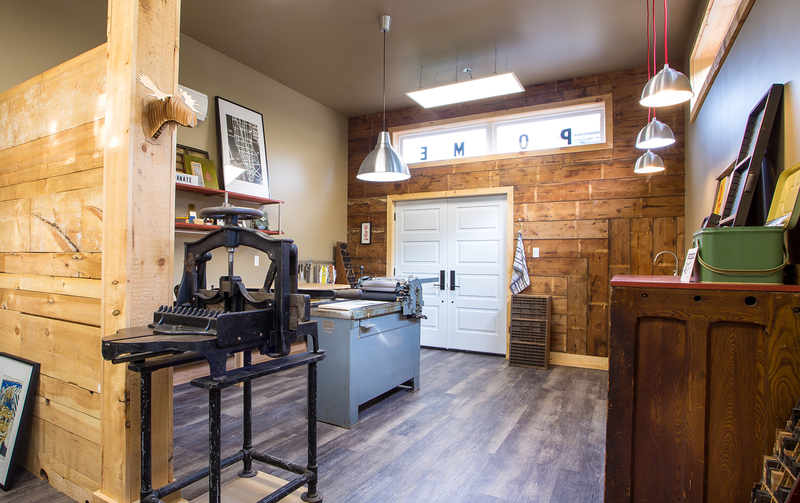 Pomegranate Letterpress + Design is based in Oakville, ON Canada. 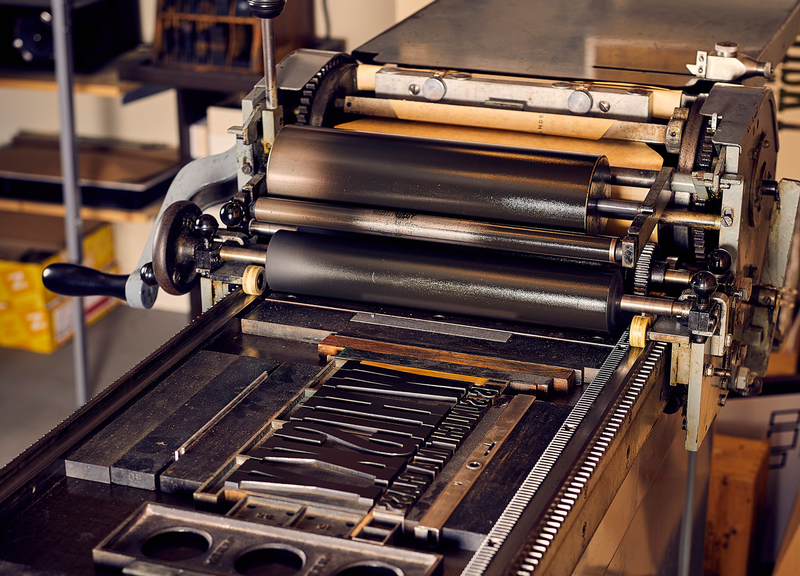 We offer quality, handcrafted letterpress printed designs. Our work is a blend of olde-fashioned sensibility, craftsmanship and artisanship. We genuinely love creating and designing using our collection of wood and metal type, original illustrations cut from linoleum or wood, and the odd object found around the studio or backyard. Eco-friendly, Green, Earth-friendly or Sustainable, what does it all mean? This is a big topic for a little shop to tackle and we began to realize we are not “Green” – but we work hard to be sustainable. Sure we’re printing and using resources, we do our best to research and choose products that have the lowest impact on the environment. We don’t use motorized presses, which means we can’t do massive production projects. We’re an artisan printer and we print small quantity and limited edition creations. Our goal is to lessen our environmental impact, provide a quality service and run a fun passion business. We’ve chosen the innovative Caligo Safe-Wash inks for our studio which are Linseed oil-based. The inks safely and easily wash away with soap and water alone. Linseed oil is produced from one of the oldest fibre crops – Flax. Unlike most inks, Caligo inks contain no heavy metals, have low VOC’s, and are AP Certified as non-toxic. We use papers that maximize the recycled content and give preference to Certified Processed Chlorine Free paper (PCF). Whenever possible, we source Forest Stewardship Council (FSC) paper. And we’ve tested other non-tree paper to ensure they work well with our inks. It’s difficult to find paper for letterpress that fits all these criteria and in smaller quantities for craft printers. Our favourite is Neenah Classic Crest which is manufactured Carbon Neutral and is Green-e certified. We also love Saint-Armand, Crane Lettra, Mohawk Strathmore and Reich Savoy Cotton papers for texture and richness. Okay, we realize cotton is not the best eco-crop, but before you discount it, keep in mind that fibres used to make the paper can come from reusing textile and cotton ginning waste.